Advanced Chemical Etching (A.C.E.) has won over £2m of new orders over the last twelve months, with contracts being placed from customers in the UK, Europe and the Far East – taking turnover to £7.6m. 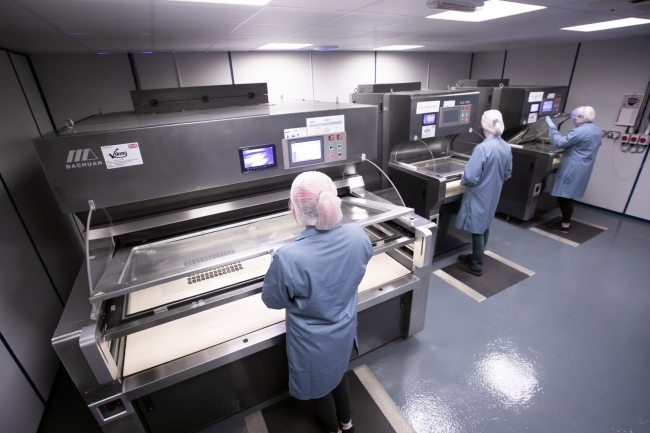 The company, which has also created 12 new jobs to cope with demand, is looking to build on the recent expansion by completing a £500,000 investment drive that has seen it install new inspection equipment and two pre and post cleaning machines. Advanced Chemical Etching has completed a £500,000 investment programme and created 12 new jobs to keep up with demand from customers / Picture: A.C.E. This means the Telford-based firm can move from manually processing 350 sheets a day to over 1000, giving it capacity to meet the target of £10m of sales by 2021. Chris Ball, Executive Director at Advanced Chemical Etching said: “We have built a strong track record for producing high quality precision components that are ideal for use in the electrification of vehicles and in helping to reduce weight across F1 cars, aircraft and in some intricate medical implants. He added: “I know there’s a lot of speculation about Brexit uncertainty, but we’re genuinely not seeing it and believe that investing from a position of strength is the best thing to do. A.C.E. specialises in the development of prototype components, pre-production and volume fulfilment to customers in aerospace, automotive, electronics, medical, telecoms and renewables. Increased demand from the automotive and aerospace sectors has seen A.C.E. boost its sales by 40% / Picture: A.C.E. 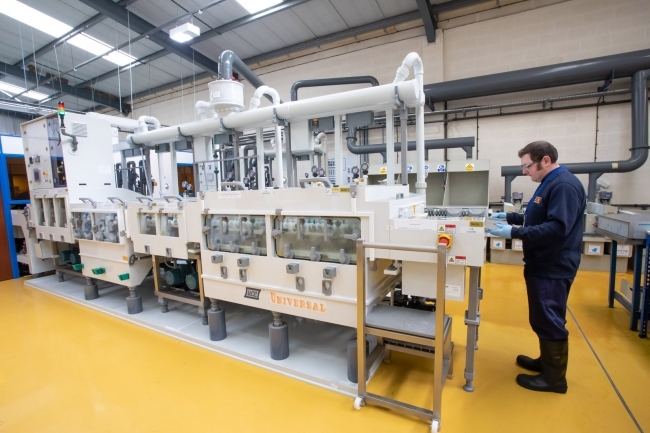 Latest production machinery, a dedicated laboratory and state-of-the-art measuring capability ensures it works to the most exacting tolerances and can manufacture components in materials, such as stainless steel, nickel alloys, copper, beryllium copper, phosphor bronze, brass and, thanks to groundbreaking new processes, aluminium, molybdenum, titanium, nitinol and elgiloy. Ian Whateley, Managing Director of Advanced Chemical Etching, concluded: “It’s not just investment in equipment or machinery either; we’ve also completed a comprehensive review of our processes and our people and this is paying dividends.